Lock your doors and shut your windows the Boogeyman is looking for victims young and old to add to his collection this Halloween season. 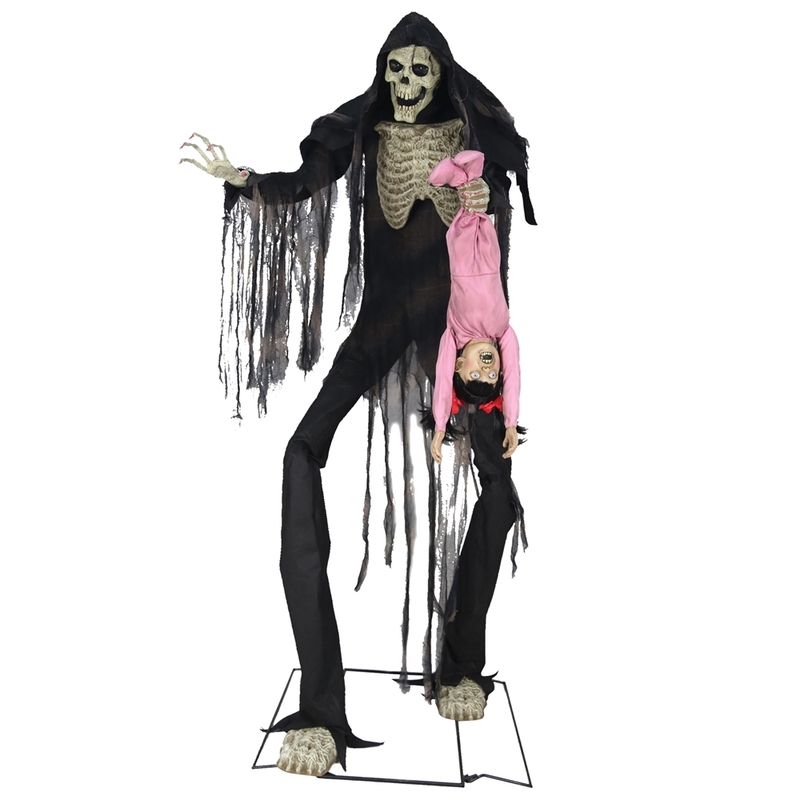 The Towering Boogeyman with Victim Animated Prop measures an intimidating 7 feet tall and features a gaunt skeleton with tattered black clothing. His gruesome hand and overall posture will produce nightmares to all your guests. Are you afraid of the Boogeyman? Plug in the UL power adapter into any standard outlet and choose from Steady-On, Infra-Red Sensor or Step-Here Pad (included) activation options to operate. Once activated, this Boogeyman Prop’s eyes light-up while his head and torso turn from side-to-side. He laughs disturbingly while the poor victim screams and flails about. The Infra-Red sensor works up to 6.5 feet away and functions in all lighting conditions. This Halloween Animatronic also includes volume control to adjust the sound effects to your choosing. Yes. This product may not qualify for free shipping promotion. See offer details.